The free application puts Esri's digital publications in the palm of your hand. 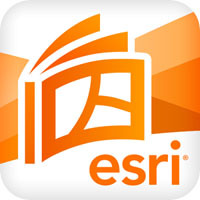 Redlands, California—Esri announces the availability of its Esri Bookstore app, providing easy access to a variety of geographic information system (GIS) publications digitally. Available for free from Apple iTunes and the Google Play store, the application supports Apple- and Android-based mobile devices. Among the first publications available with the Esri Bookstore app is Esri Maps + Apps, a collection of maps selected from the Esri Map Book, Volume 28, and special story maps created with Esri technology. This free map book comes alive with scrollable text, interactive maps, live apps, videos, and slide shows. Select books from Esri Press are also on the Esri Bookstore app, and each contains an interactive table of contents, search capabilities, and page links. GIS and the Community, newly published, is available free of charge. Other Esri Press books are available for sale, such as A to Z GIS: An Illustrated Dictionary of Geographic Information Systems (in English and Spanish); Lining Up Data in ArcGIS: A Guide to Map Projections, Second Edition; The GIS Guide to Public Domain Data; GIS and Cartographic Modeling; and The Esri Guide to GIS Analysis, Volume 3: Modeling Suitability, Movement, and Interaction. ArcNews and ArcUser, the two largest circulated GIS magazines, are also included. They have been optimized for mobile device reading and include videos, embedded story maps, and slide shows. The Esri Bookstore app is currently available only in the United States. More publication titles and application functionality will be added soon. To learn more, visit esri.com/bookstoreapp.